Mystery and drama in one package. The story of the snobbish and well-to-do Birling family, an aristocratic fiance and an interruption to their celebrations by the mysterious Inspector. 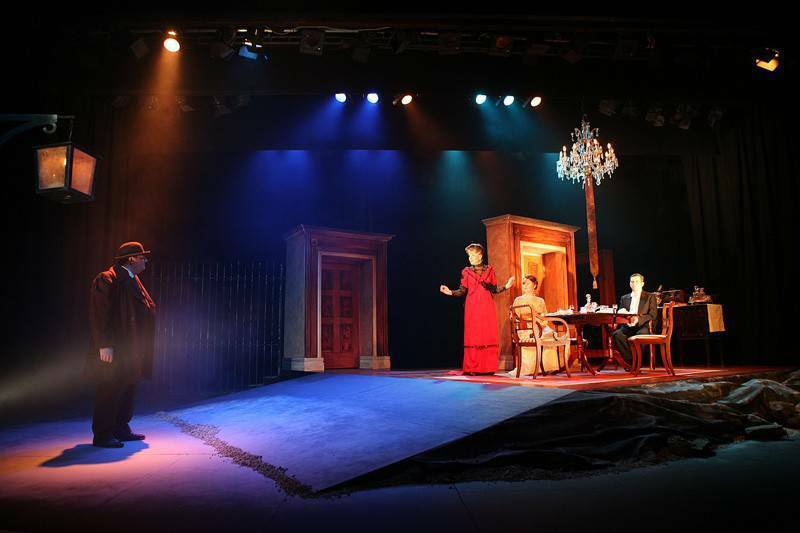 Prejudices, indiscretions and sheer bigotry are revealed on one fateful night. Will the Burlings realise their shortcomings or will they hide behind their smug Edwardian facade? 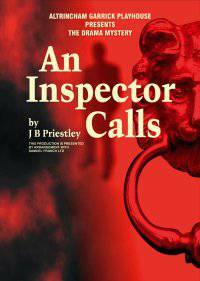 THERE are some plays that seem to get better every time you see them and An Inspector Calls is one of those plays. 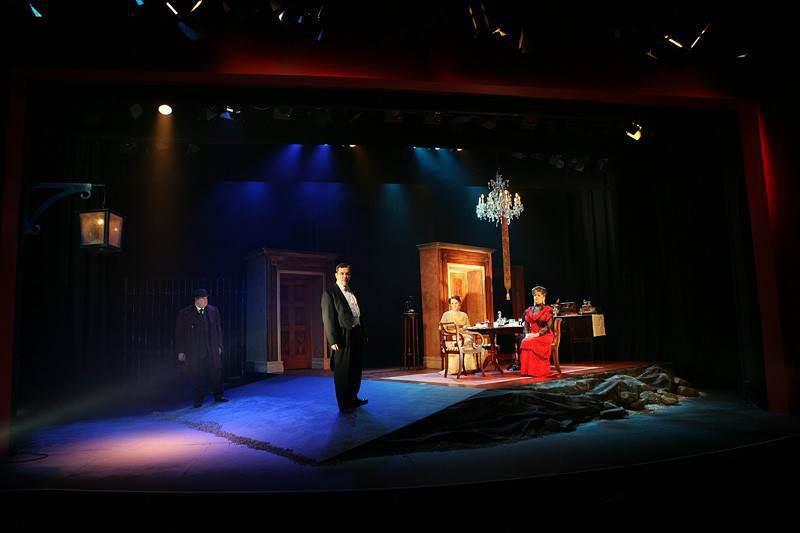 Altrincham Garrick begins 2011 with a compelling production of Priestley's classic play, a claustrophobic thriller on one level, a scathing critique of middle class morality on an other. The writer even predicts widespread social unrest if nothing is done to bridge the gap between the haves and the have nots in society. Three and a half decades after the play premiered, we saw the worst rioting in modern British history. The well-to-do Birling family have gathered to celebrate the engagement of daughter, Sheila. 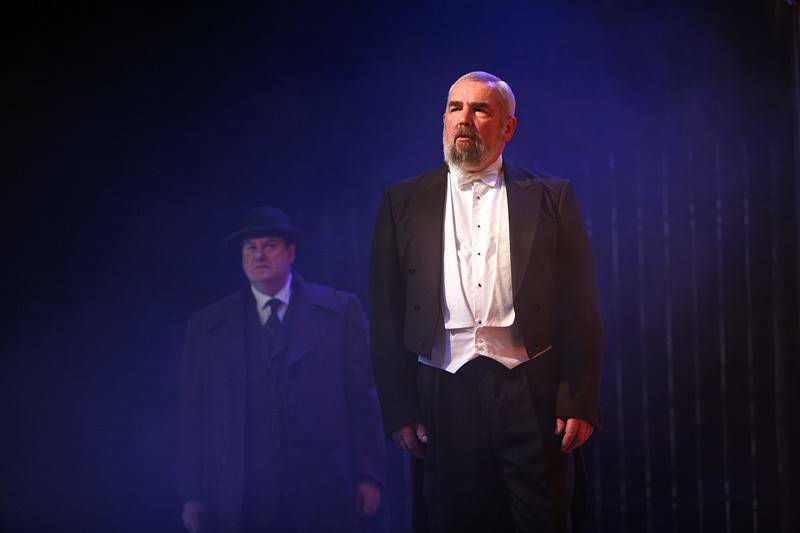 All is very jolly until a mysterious stranger arrives at their door and that mysterious stranger is one Inspector Goole. A young woman has killed herself and everyone in the room is in some way responsble for her death. Goole the grand inquisitor starts making them face up to their responsibilities. This is a great role for an actor of a certain age and Nick Sample has the audience hanging on his character's every word. Goole is both menacing and re-assuring and Sample brings out both aspects of the character brilliantly. 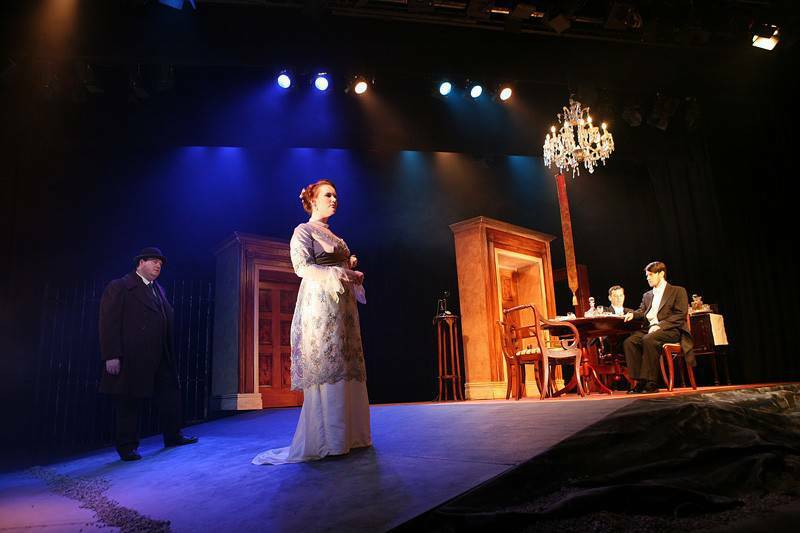 Director John Cunningham brings the best out of a strong cast and I was also impressed by Scott Ransome as Gerald Croft and Kate Millington as Sheila Birling, a figure of hope for the future.